I am extremely honoured to be selected as a senior prefect and have taken to this role with a new level of maturity and confidence. 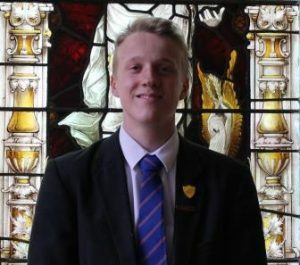 I believe it is important to have a senior prefect team as it is helpful for younger pupils; providing them with role models and people they can talk to about issues that they may not feel comfortable discussing with a teacher. My favourite subject would have to be GCSE PE. Although it is not the easiest subject, I find it very interesting to learn about all the principles behind how the body works during physical exercise. In my spare time I often compete in motorsport events, either trials or track racing in my Caterham, and I play rugby for Billingham Rugby Club. I am also a Royal Airforce cadet and attend squadron training twice a week.